It’s been a while since I posted a sewing tutorial! 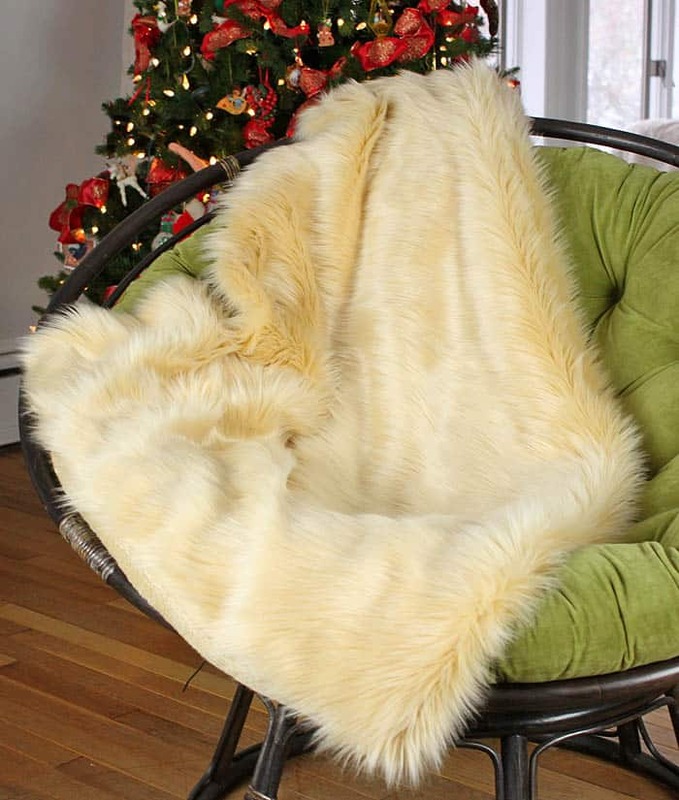 I wanted to jump back into things with an easy project anyone with basic sewing skills can make and show you ow how sew a faux fur throw. 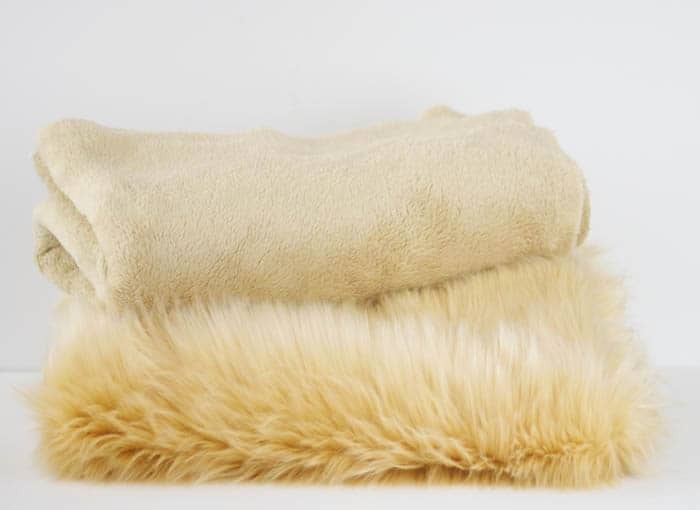 This throw is so cozy and luxurious to have in the winter. I’ve been using this one non-stop since I made it and I also sewed a few for Christmas gifts. 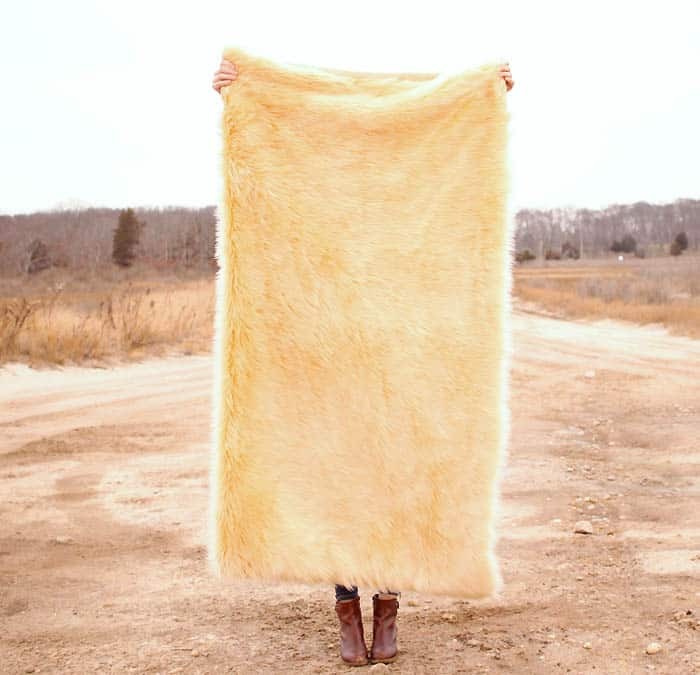 This faux fur throw takes under 30 minutes to make. The pieces are sewn around the edges, leaving an opening. It’s then turned right side out and the opening is hand sewn closed. Easy, right? 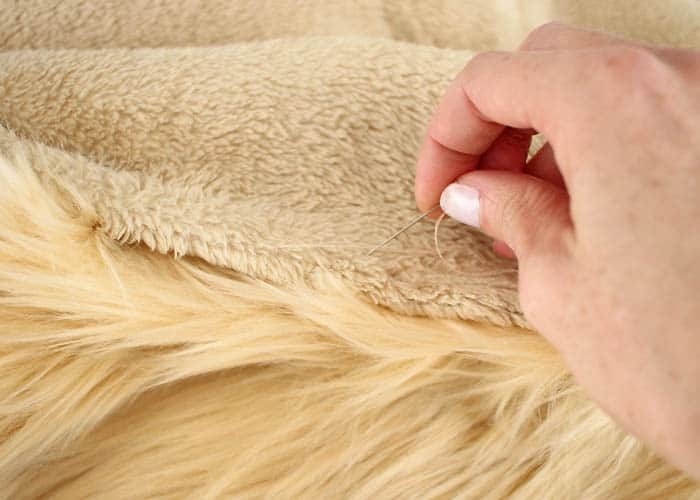 To sew the faux fur throw you’ll need 1 yard (60 inch wide) of faux fur and 1 yard of fabric (60 inch wide) for the backing. I used cuddle Minky, but you could also use flannel or fleece. Just make sure it’s non-stretch. Place the fabrics on top of each other- right sides together. Sew around the edges leaving a 10 opening to turn the throw right side out. Make sure your 10 inch opening is in the middle of one of the edges and not around or near a corner. 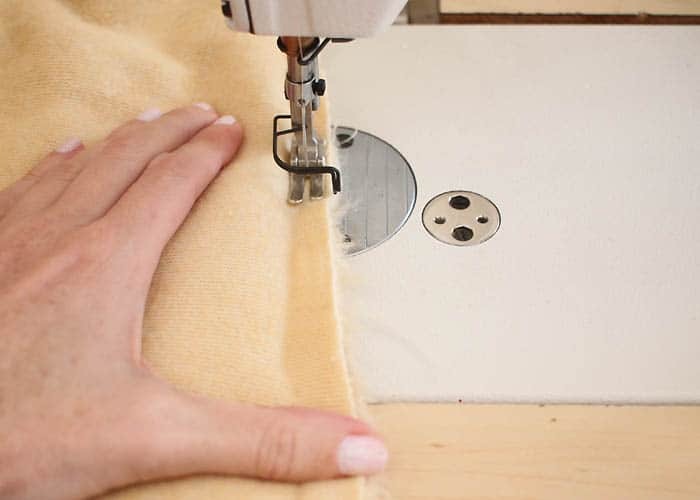 Once you’ve turned the throw right side out, hand sew the opening closed. This is the best thing ever. Where did you get the fabric? Thanks! 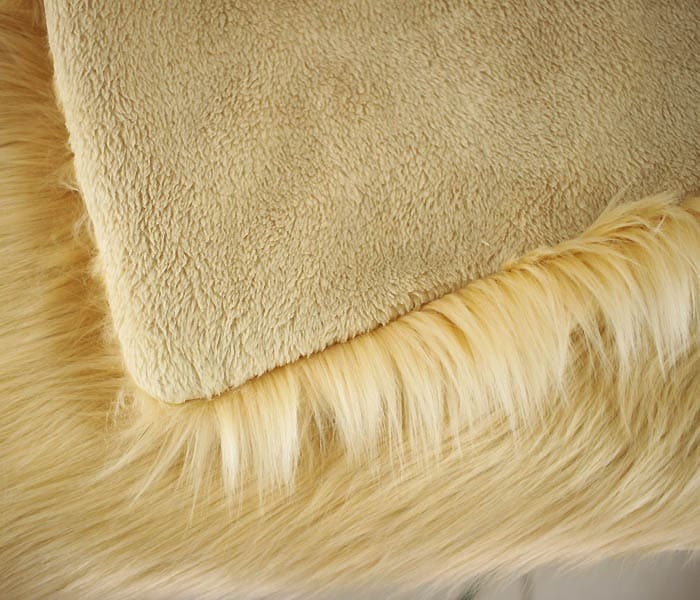 The faux fur is from fabric.com https://www.fabric.com/buy/bu-296/faux-fur-luxury-shag-caramel It is seriously the best, highest quality fur I've come across! 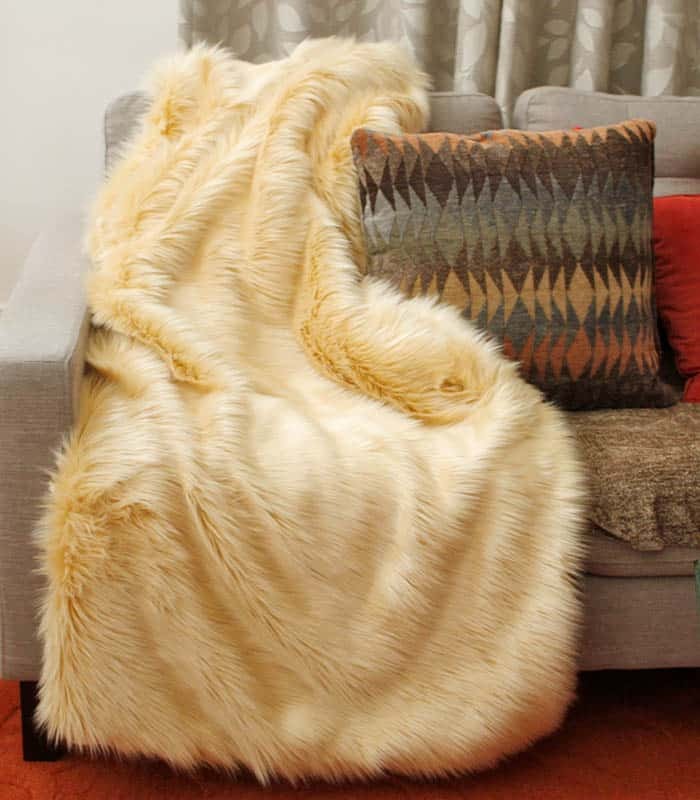 The back of the throw is The back is Minky Cuddle also from Fabric.com. They seem to be out of the exact color though. I think it is quite easy to implement. thank you for sharing. I will do it for the coming winter.